We are very happy to announce that we have partnered with Open Sky Expeditions for this fascinating and visually breathtaking photography trip to Sicily. April on Italy’s largest island is a time of great vitality. Winter has receded: the almond trees blossom, the scent of orange blossoms fill the air, and fields are alive with pink and purple clover, yellow mustard, blue flax, and bright red patches of poppies. Sicily has woken. The energy is palpable: in the fields, in the cities, and in the incredible warmth of the locals. Tiny plums, cherries, and delicate paschal lambs appear in the display cases of pasticcerias. And in the old quarters of the island’s medieval cities, a week of processions and reenactments culminates in the bright festivities and folk dramas of Good Friday & an Easter Sunday inflected with ancient traditions. Experience the light and warmth of this cultural melting pot of an island on a tour especially designed for the photographer’s eye. – Discover beautiful, historic, energy-filled Palermo – where we’ll stay for three nights in the old Arab quarter, with photo walks in the markets and port, plus key sights in town – and travel to nearby Monreale to marvel at and capture its incredible mosaics. – Explore the northwestern corner of the island and photograph the Greek city of Segesta in its stunning setting, hilltop Erice (often shrouded in a mysterious veil of fog), and the Marsala salt flats in late afternoon light. – Experience and photograph the famed Good Friday procession in Enna, a beautiful off-the-beaten path mountaintop town in the center of the island. – Partake of and photograph Easter celebrations with Sicilians in the beautiful Alcantara Valley, after an exciting afternoon exploring imposing Mount Etna and its lava fields and vineyards. – Enjoy and capture the essence of the dolce far niente (sweetness of doing nothing) in enchanting Taormina—which Goethe called “a corner of paradise”— with its spectacular views of Europe’s largest volcano. – Absorb the beauty of historic Siracusa on our three final nights, one of the most powerful cities of antiquity, with its archeological treasures and lovely old town of Ortigia. – Stay in deluxe hotels throughout the itinerary, chosen for their ambiance, high standards, and location (all within walking distance from the top areas of photographic interest, giving us ample freedom of movement). – Learn from travel photography veteran and photo instructor David H. Wells, via one-on-one guidance and a series of photography workshops throughout the trip. – Absorb the knowledge of local experts, traveling with some of the top English-speaking guides on the island for most tours and joined by a local Sicilian photographer who’ll show us her insider spots on select days. 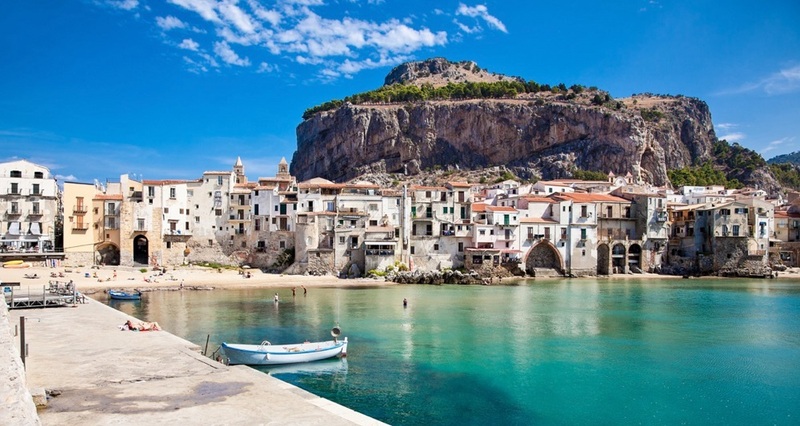 – Savor amazing, delicious Sicilian food, enjoying carefully chosen restaurants, avoiding the big tour crowds. – Relax with logistically seamless, hassle-free travel. – Book confidently on an itinerary developed over months to find the correct pace and balance, with an eye toward the best light and photography opportunities. REGISTER BY AUGUST 1st 2019 AND GET $500 OFF THE MAIN RATE – Contact us at info@internationalphotocenter.com for the Detailed Itinerary and Cost and to book your spot!! • International airfare to Sicily. • Tourist entry visas, reciprocity fees, passport fees, and photos if required. • Medical, accident, baggage, or cancellation insurance. • Personal items and other expenses not specifically mentioned in the program inclusions. David H. Wells is a freelance documentary photographer and photo-educator based in Providence, Rhode Island. He specializes in inter-cultural communications and the use of light and shadow to enhance visual narratives. David’s “Light Studies” have appeared in a wide range of exhibitions and publications including the Philadelphia Inquirer Sunday Magazine and Rhode Island Monthly. He has received two Fulbright Fellowships, a grant from Nikon/N.P.P.A. and a fellowship from the Pennsylvania Council on the Arts. His work has been shown around the world in over fifty exhibitions and publications including American Photographer, Camera and Darkroom, Camera Arts and Zoom. He has taught workshops at the International Center for Photography in NYC and the Maine Media Workshops. David launched an online educational tool with video podcasts and other useful information for photographers called “The Wells Point”.